An expert from the International Rice Research Institute (IRRI) said golden rice is a potential new food-based approach to help fight vitamin A deficiency (VAD), a form of hidden hunger. Dr. Violeta Villegas, golden rice project coordinator for IRRI, said hidden hunger is a pervasive and persistent problem affecting more than two billion people globally. “As a breeder myself, it gives me pride and joy to be part of a humanitarian project that seeks to address a major public-health problem,” Villegas said. An estimated 190 million children and 19 million pregnant women are affected by VAD globally, according to the World Health Organization. If one is deficient of vitamin A, the immune system is affected, as well as vision, especially among the preschool children. They become more vulnerable to certain diseases like measles and all these things. “They can go blind. Some may die because they become more susceptible to certain diseases,” Villegas said. According to Villegas, lactating mothers also need vitamin A because their milk is their babies’ primary source of nutrition. “I always say yes, there are interventions like diversifying diet, breast-feeding, fortification and so on. They’re working, but the fact remains that there’s still a sizable portion of our population not reached by these interventions,” she added. Villegas explained there remain sectors of society that are not reached by the current interventions, those who live in far-flung barangays, but they eat rice three times a day, sometimes more, so fortifying rice can indeed help. “It will be very good if there will be an additional tool in our kit, in our toolbox, to complement the existing interventions,” she said. 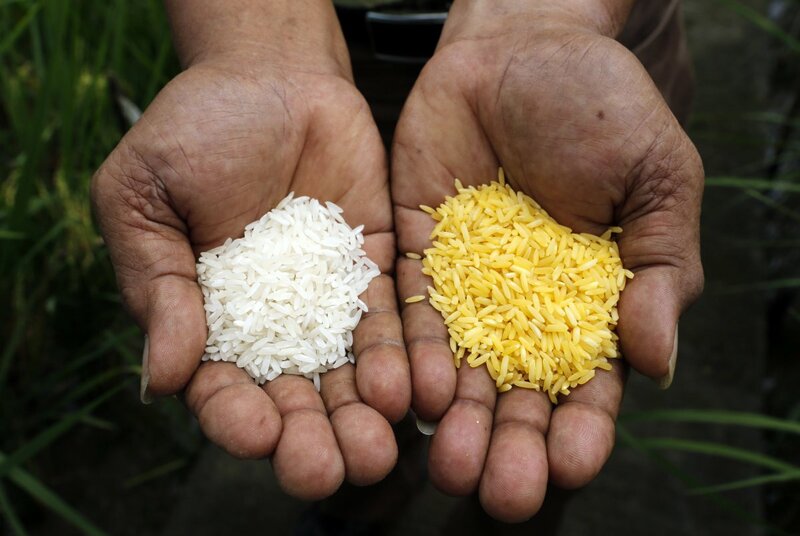 Golden rice is an example of how agriculture and nutrition can work together to fight VAD. Currently, golden rice is in the confined field trial stage. Multi-location trials will follow then the application for propagation or cultivation. “While we are doing these trials, we are also generating biosafety data, required for food, feed and processing approval,” Villegas said. Another step, she added, is that upon getting food and feed approval, a reputable independent organization will do the bio-efficacy trial. They will not do this until golden rice gets the food approval. “We can predict when we can get all the data but getting the approval is the ultimate ‘diploma’ that we can get before we can go public,” Villegas said.